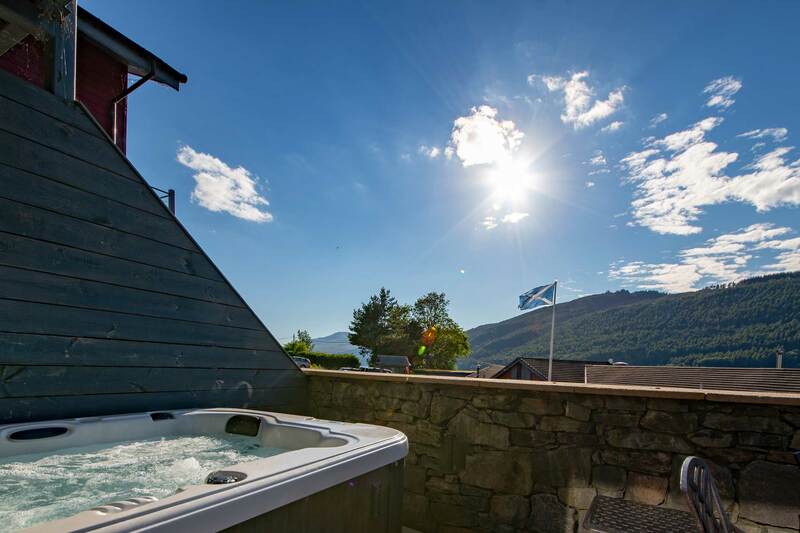 Beinn Fhada is a quirky one bed, ground floor apartment complete with hot tub and private terrace overlooking Loch Tay. The main double bedroom and shower/bathroom lead on to a marvellous open plan living, kitchen and dining area providing glass door access to your private patio. With atmospheric decor in keeping with the waterfront location, this property is a perfect getaway for two and is also pet friendly.